Why give to the DSC? 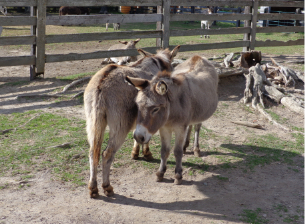 As a not-for-profit charity, the Donkey Sanctuary of Canada depends on donations in order to care for the donkeys. With the donations we receive, we are able to carry on some very important and necessary work. For that reason, we are thankful for the help and support we've received from so many caring individuals - from generous donors, from fabulous volunteers who donate hours and hours of their valuable time, and from all the kind people who have become donkey sponsors. Of course, this is an ongoing process. Year after year, our donkey population has grown, and in order to continue to provide an optimal level of care, we are always in need of funding, of volunteer help, and of more sponsors for these remarkable creatures. To explore the ways in which you can help the Sanctuary, we invite you to click the links below. Thank you. We are grateful for your help. 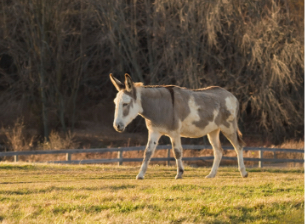 The Donkey Sanctuary of Canada depends on donations in order to care for the donkeys. With the donations that we receive, we are able to carry on our rescue and educational work. For that reason, we are thankful for the help and support we've received from so many caring individuals. Every little bit helps. Monthly gifts support our work year-round and are designed to fit your monthly budget as a regular monthly charge to your credit card. Signing up is easy and you can change or cancel at any time by calling our office. Tax reciepts are issued at the end of the year. Thank you for your long term investment and support of the DSC. By symbolically sponsoring an animal, you will help with their care for the year. Be a part of a donkey/mule's life for just $10/month and you'll do more good than you'll ever know. Your ongoing support buys food, medicine, vet and farrier treatment, shelters and fencing, plus so much more. Choose yours today. Make a donation in memory of an individual. Whether for a special occasion or to say good-bye. 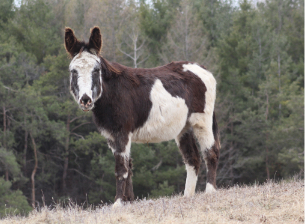 Now it's possible to donate your vehicle to The Donkey Sanctuary of Canada; we've teamed up with two organizations who'll take care of it all for you, and thereby, help take care of the donkeys. Donate A Car Canada: To donate a car, truck, RV, boat, motorcycle or other vehicle to the DSC via Donate a Car Canada, or to learn more, visit our page on their site. They'll provide free towing in many areas across Canada, or you can drop off your vehicle to maximize your donation. When you donate your car, it will either be recycled or sold at auction – depending on its condition, age and location. Donate A Car Canada will look after everything to make your donation easy for you to support the DSC, and we'll send you a tax receipt after your car donation is complete. CharityCar.ca: Through its partnership with GreenVehicleDisposal.com, CharityCar.ca will help you help the DSC in a very eco-friendly way when you decide to donate your car. They'll take any used car, truck or van, provide free pick-up and handle all the paperwork. All you need to do is let them know that you'd like the proceeds of your donation to be given to The Donkey Santuary of Canada. Visit CharityCar.ca for more information, or to donate your vehicle. If you'd prefer to mail in a donation rather than use PayPal or call in credit card details, please download and fill out the form below, and then mail it back to us. We'll process your gift and mail you back a tax receipt. Thank you so much for thinking of the Donkey Sanctuary of Canada.